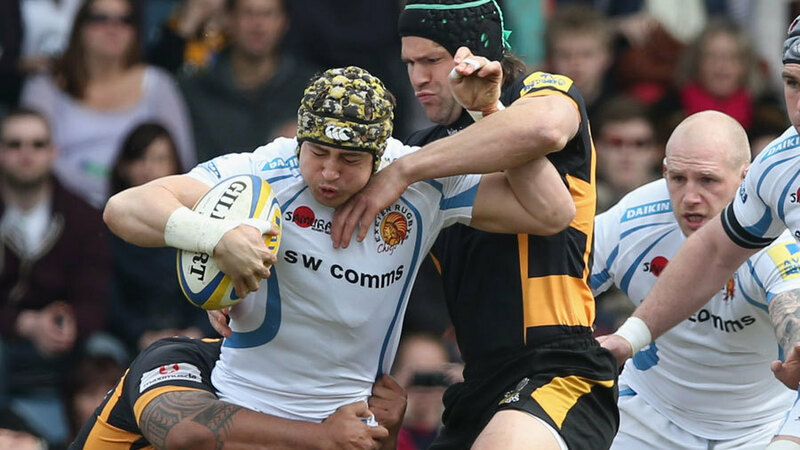 England wing Jack Nowell has re-signed for Exeter Chiefs in a deal that will keep him at Sandy Park until 2017. Nowell, who earned a call-up to Stuart Lancaster's England squad earlier this year, joins the likes of Dean Mumm, Sam Hill, Luke Cowan-Dickie and Dave Ewers in committing his future to the West Country club. "Everything has been going really well for me at the club, so it would be silly not for me to sign the contract," said Nowell. "Ever since I joined, the club have always looked after me and helped me to progress to where I am now. "Yes, I've had a few troubles with my knee over the years, but the club have managed me really well and knew what was best for me. I had a bit of time off at the start of the season just gone and now they are helping me a lot with my knee after having the operation. "From a playing side, though, they have brought me to the top of my game and they gave me that chance when I was younger to go out and perform and really put the trust in me. As I've said before, step by step we're all making big strides. I knew when I signed my first contract with the academy, the coaches told me the club was going places and that they wanted to back the young boys, which they have done.